This nice little demo is a piece of top notch power metal. I know what you're thinking, but no, it's not your typical power metal that's full of melodies and dragons and tales of mythical beasts, this is more along the speed metal style, something that the American power metal bands perfected. 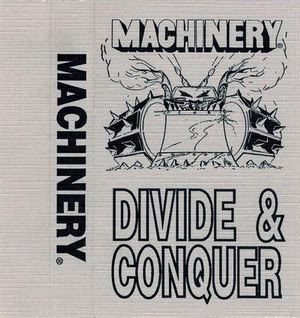 Machinery's debut demo "Divide and Conquer" is absolutely brilliant. It's got plenty of variety in the riffs and overall structure of the music. 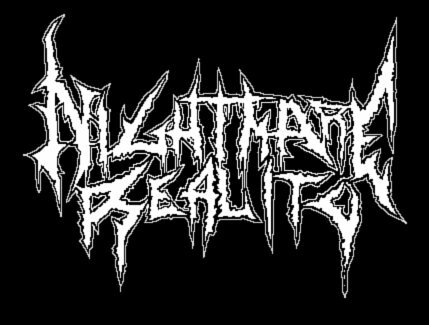 There are some really catchy midpaced riffs that can easily cause some headbanging, especially on the track "Fools Paradise" and the opening riffs of the title track. The song "Bite the Hand" features an awesome chorus that reeks of Judas Priest influence, with the over the top vocals and a riff that wouldn't sound out of place whatsoever on an album like "Painkiller." While there aren't many melodies present on this demo, the solos do have some slight melodic tendencies at points, but for the most part the solos are more shred oriented and they fit the music perfectly. The bass doesn't really have any standout moments, but it is perfectly audible and when it does move along its own path rather than following the guitar the whole time, it is crystal clear and sounds fantastic. The drumming isn't anything spectacular, but it is consistent throughout and keeps Machinery in line. The vocals have a pretty good range, with parts that are clean and other moments where the vocalist decides to channel his inner Rob Halford, especially on the track "Wolves," just listen for the falsettos throughout. Overall, "Divide and Conquer" makes for a very fun listen and the material is pretty memorable. After you're done with the demo, the catchy choruses will be stuck in your head and the urge to put it on repeat will be inevitable.